How might we increase the production of locally grown food and harvesting of seafood in Maine through creative approaches to aggregating, distributing or processing of this food? Fiona Wilson – Lead Judge – Clinical Associate Professor of Social Innovation, Social Entrepreneurship and Sustainability and Executive Director of the Center for Social Innovation and Enterprise at UNH and President, Board of Trustees, Wolfe’s Neck Farm. Mac McCabe – Sustainable Business Consultant, Co-founder/CEO of O’Naturals, Inc. Happy as Clams will recruit, train and support local seafood harvesters through the aggregation and branding of seafood products harvested from Cobscook Bay in Washington County. 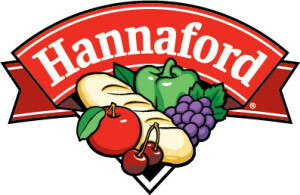 The branding, traceability and the story of the project will create a niche market for online, wholesale and direct sales to Hannaford, Rosemont and Whole Foods. This offering of uniquely Cobscook Bay area seafood products will allow consumers to trace their seafood as well as know that their dollars are supporting coastal, rural, communities in Washington County, Maine. Success will be measured in terms of the year-round stability of the pay for the local harvesters, as well as the increase in the levels of revenues brought back to the Cobscook Bay communities that so rely on their fisheries economy. Breaz is an online mobile and web based platform that quickly tests market interest in products developed by new food ventures by connecting food ventures to perspective customers. The application will feature a simple product posting and ordering module as well as a payment processor to accept credit cards and online payments for what they want to sell. Testing for the application will take place in collaboration with Fork Food Labs. Fork Food Labs in Portland, which houses over 20 food businesses that are creating dozens of new products. goFarm is a comprehensive software platform that enables local food producers and foodservice buyers to trade products in advance of cropping or on spot demand. As opposed to other such services, which offer limited features or which charge fixed or high fees, goFarm offers a full range of solutions, including distribution, at a cost that farmers can afford. Farmers will have access to foodservice buyers while retaining margins previously ceded to intermediaries. Buyers can be assured easy access to locally sourced products from qualified, accountable vendors. goFarm will also facilitate donations and volunteer mobilization to fields for gleaning opportunities to local food charities, thereby reducing food waste. How might we Reduce, Recover or Recycle Food Waste pre and post consumption? [Re]Produce will create market value for farmer’s surplus and cosmetically imperfect vegetables. Our hope is to address farm food waste in Maine, starting with corn, broccoli, kale, and potatoes. We plan to do this through purchasing and processing the produce to extend the shelf life and make it more marketable to consumers-our target audience being millennials who love convenience and kale! Extrapolating data from Salvation Farms’ analysis of Vermont food waste shows us that there could be over 140 million pounds of corn, potato, broccoli, and kale loss every year. 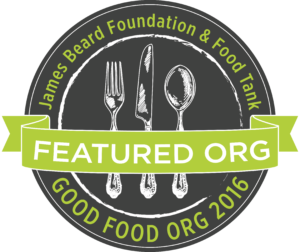 We will start production at the Fork Food Lab in Portland. Renting a smaller space will allow us to lower start up costs and focus on developing our business model. When it comes time to expand, we will explore the feasibility of renting larger processing facilities. We will operate as an L3C. Spent will take spent grain from Maine’s expanding microbrewery industry and make it into flour, eventually expanding into products, like crackers and pretzels, that can be sold in the tasting rooms of the breweries that we will partner with. This model provides breweries with a convenient way of directing their significant amounts of waste towards productive ends, and provides consumers with a nutritious, hearty flour that can be used in a number of different recipes. We will aim to partner with The Maine Brewer’s Guild, local mills in the area, The University of Maine Cooperative Extension’s test kitchen, and Fork Food Lab as our initial operating space. The prize money from this competition will most likely go towards establishing these relationships, researching market trends and potential within Maine’s microbrewery industry, and establishing a prototype on a very small scale. The social media campaign #GrainAgain will emphasize the cyclical nature of this business and the power to reinvent waste to be a valuable, desirable product. 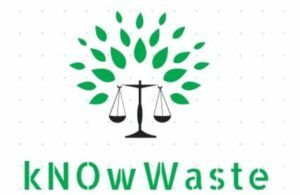 kNOwWaste will reduce college dinning commons food waste by providing direct feedback to students on their food waste. By installing three pieces of technology (a student ID card swiper, a digital scale, and an extension off the schools already existing student information app), students will be able to view an individualized report of their food waste compared to the average student, as well as long term projections of the effects their food waste can have. All the students will have to do after finishing their meal is to swipe their card, scrape their food waste into a trashcan with a scale under it, and continue about their day. The data will automatically go into an existing database which students can review and track their waste. Through incentives and competitions students will be encouraged to reduce waste. After achieving the proof of concept, they will partner with Colby’s dining service provider, Bon Appetit, to expand the program to other colleges around the nation. Unity College Food Service’s is unable to reduce food waste in its catering service. The shelf life of excess food is so short that the service is unable to repurpose or reuse leftover food. CommUnity proposes placing a table with a video cam that will post pictures of what is on the table and send a text alert to students, faculty and staff. Under this model, catering staff will place leftover food on the table, a picture with a text alert would go out and the Unity College community and interested people would stop by and pick up food until it is gone or has reached its safe limit for consumption. Enter your email address to receive an email whenever new details are posted on the site.